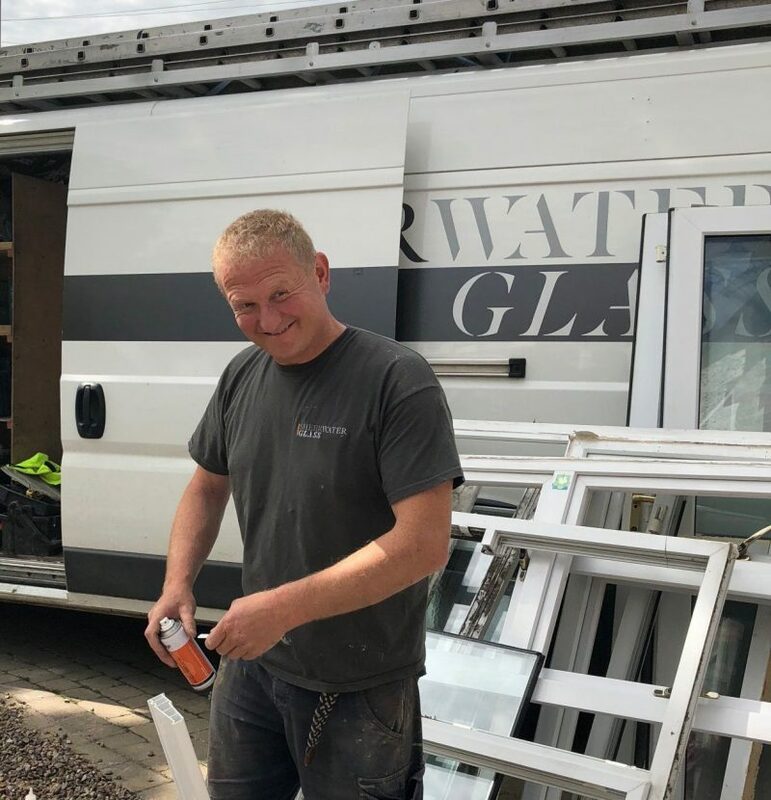 Stef, one of our very talented installers, has been working at Sheerwater Glass for nearly 5 years. We headed out to a site today to catch a few minutes of his time to learn more about his job. How long have you been fitting windows for? 20 years! I trained on a Carpentry and Joinery course, then worked alongside qualified fitters to gain experience before being let out on my own. Prior to working at Sheerwater Glass, I worked for a few local window firms, but I love working here! What skills do you require to be an installer? A good ‘eye for level’, be able to think a few steps ahead of the job and communicate well with customers. We get to the yard early to load up the van, then usually manage to fit 5 windows and maybe a door, depending on how hard the originals are to get out. Do you have a favourite job? I enjoy fitting warm roofs. They’re good fun and it’s something a little bit different to what we’re used to doing. Definitely the satisfaction of seeing the happy customers when the job is finished. If I get a chance I enjoy swimming, cycling or having a drink with my mates. Otherwise, I’m entertaining the kids! And lastly, what is your favourite food and drink? A Vindaloo, or in the summer months I enjoy a nice salad, washed down with a glass of red wine!